The 4th stage of the 2014 European Grand Prix was held in Moscow on May 31 - June 1 at the "Molodezhnyj" Hotel. 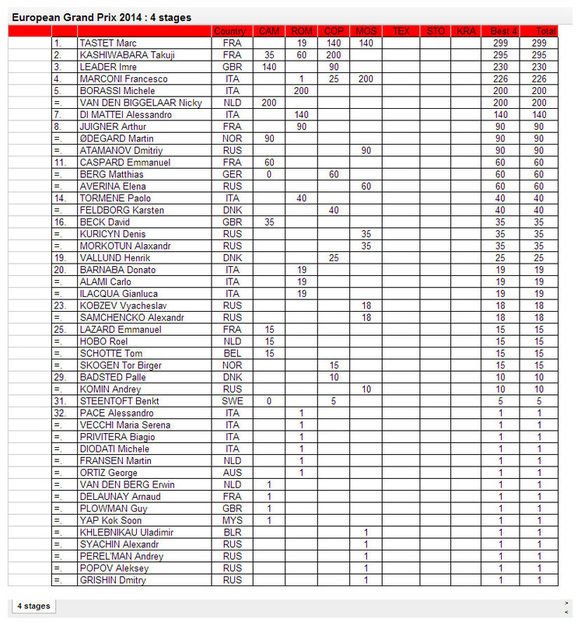 Takuji Kashiwabara leads the EGP 2014 with 295 points, second is Imre Leader with 230 points. At this 4th stage of the European Grand Prix, we have 17 Russian players and one player from the Republic of Belarus, Uladzimir Khlebnikau. The two other foreign players from the EGP 2014 list are Marc Tastet (FRA) and Francesco Marconi (ITA). They will both try hard to reach the final. Who will lay his hands on the full 200 points? After 4 rounds it was time for a lunch break. Francesco Marconi and Denis Kuricyn both had 4 points. Marc Tastet lost his game in the first round against Dmitryi Atamanov and thanks to a very lucky win in round 4 he was at 3 points. 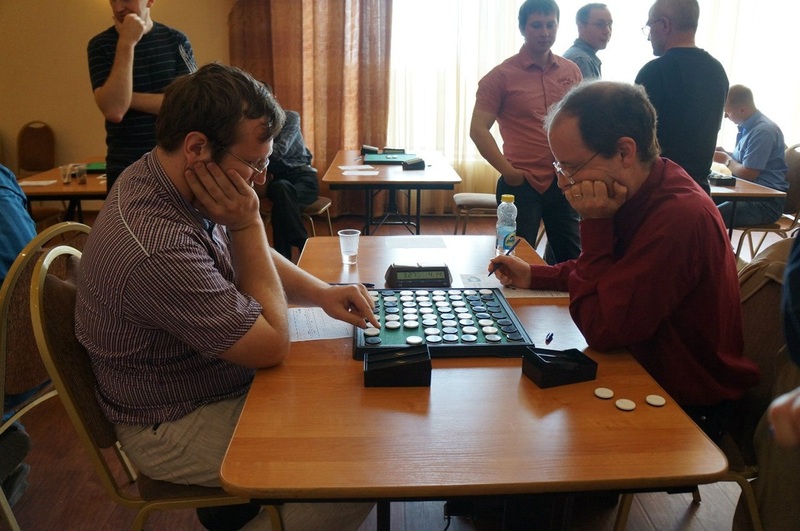 Marc Tastet defeated Francesco Marconi in round 6 and played a draw against Andrey Komin. Francesco won another 2 games and leads at the end of day 1, with Marc and Andrey only half a point behind. Both Marc Tastet and Francesco Marconi in the final of Moscow EGP. It is what a lot of people expected would happen, but it was not all that easy. After 10 rounds Dmitry Atamanov and Elena Averina were leading with 8 points. Marc Tastet had 7.5 points and Francesco Marconi had scored 7. 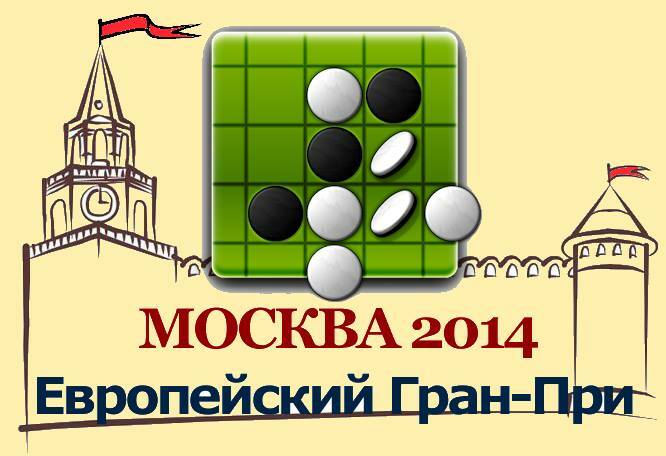 Both Russian players lost their game in round 11 and Marc and Francesco won. Big disappointment in the Russian camp. Elena and Dmitryi had both won their game against Francesco (round 8 and 9), but nevertheless, they did not make it to the final. Franceso Marconi won the final in 2 games and moves up in the EGP 2014 to a 4th place. 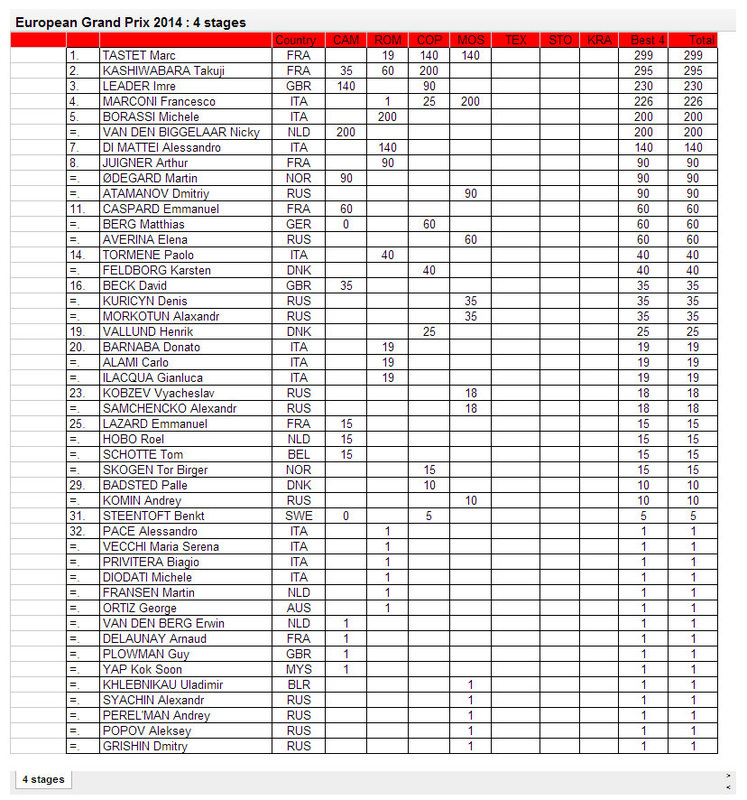 Marc Tastet has won another 140 points and is the new leader of the EGP, with just 4 points ahead of Takuji Kashiwabara. Playoff for third and fourth place was played between Elena Averina and Dmitryi Atamanov. Dimitryi chose to play white and won. Is there luck in Othello? No of course. Because an Othello match is developed by your choices, that you make move after move. Because it’s an answer to your opponent's choice. Because neither the color, as shown by computer analysis, gives you an advantage or a disadvantage. So Othello is a game that has no luck. It’s one of the first things we teach to beginners when they approach the game. And probably one of the reasons why they leave this game after a while. It’s not exactly true means, of course, depending from the definition you give of luck. Luck in effect, could mean something that is not under your control, or something that you choose without any particular reason, when you have two choices that seem equal but are not, due to our limits of analysis of the situation. Or also to something that happens but that should have a very low possibility to happen. Is it possible for an expert player, that already plays for 25, maybe 30 years, to don’t see that playing a particular move will turn also a line of discs? And that this gives the opportunity to his opponent to make the last three moves and to win the game? And I’m not talking about a “not important” game, for the middle ranking places. I’m talking about one of the most important games of the tournament. It’s what happened to me in the match against Atamanov, in the Moscow EGP tournament, three games from the end, that would have opened the door to the final for me. And with the result that, at the end, the door opened for my opponent and closed for me. This is what we could call luck (for my opponent) and bad luck (for me). At that moment I went from the first to the fourth position, because not only Atamanov, but also Averina overtook me, and also Tastet, third at that moment, with half a point more than me. Due to a very high Brightwell quotient, in case of parity I would have had a great advantage on my opponents, so, in other tournaments, only a lose in one of the last two games had gave me the opportunity to get to the final. But here the situation was very different: almost two players had to lose one game, not only one. And in the last games, usually, the top ranking players meet weak players, because they have already played against the top ones. And in effect in the last but one game the results where has previewed. So I started my last game, I won, not easily, and I started to think about the concept of good and bad luck while walking along the tables where the others were finishing their game. And what happens? A incredible surprise! Both Atamanov and Averina lost their last game and opened me the doors to the final. At the end I was in a better position grace to the Brightwell quotient. Well: someone probably is thinking that I was happy for a disgrace happened to someone else. Of course I was happy for the luck I got, of course, but I was also sad because I didn’t want to qualify in a similar manner. My congratulations for my opponents tournament, well played, up to the last minute they could get to the final, remains. Probably I was only lucky and they only unlucky. Even if someone could remember me that luck doesn’t exist in Othello, what you get is the result of the choices you make. ﻿"﻿For those who wonder why I played 46 B2 in the first of the final games, the official version is because I saw that it was (ex aequo) the best shot. The unofficial version is because I thought that Black had no easy way to cross the diagonal and I was astonished when I saw that his 47 A4 actually cut the diagonal. In the final game, I did not dare to play the X square 37 G2, however very tempting, because it was risking to get swindled after, for example, 37 G2 D8 E8 H1 G1 H3! and Black has no access to H2. And yet it was still the best shot. My ideas were not quite clear, yet I did not drink vodka at lunch, unlike Francesco. Moreover, the Russians said he might have tested positive for vodka, if there had been a doping control. 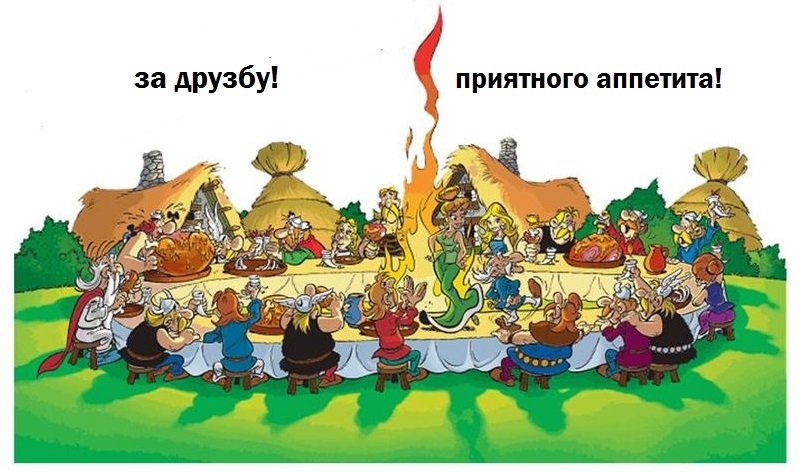 After the awards ceremony, the Russians had organized a very nice banquet (like banquets at the end of the adventures of Asterix) with food and many drinks. I started with Russian Champagne, but after my toast, I was told that it was necessary I drink a little vodka, which I did. Fortunately Francesco said that for more than 25 years he had never seen me drink alcohol which saved me having to finish my glass. Russian hospitality is not an empty word and I found this a very good idea. Too often on Sunday evening after the EGP final, most players have already left to catch their train or plane."